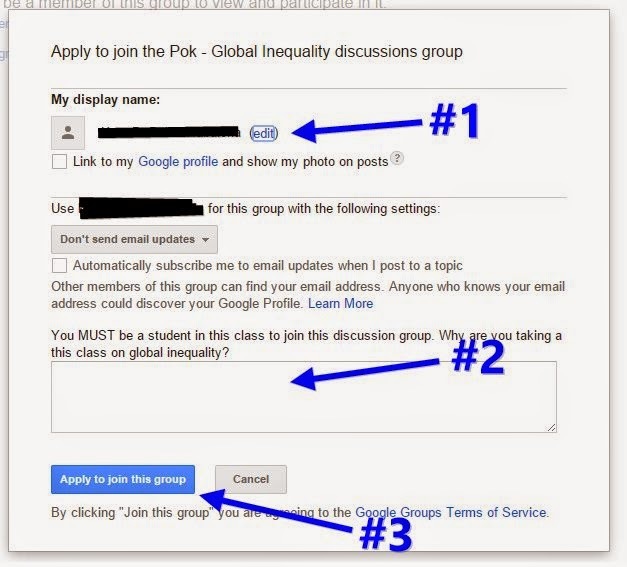 We are using Google Groups for our class discussion. Here's are step-by-step directions on how to get registered with our Google Group. Step 2: What you see next will depend on whether you are already logged into your Google Account. 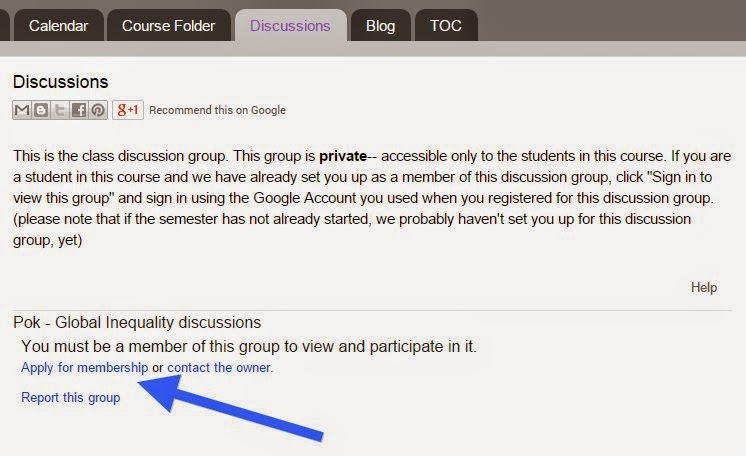 if you are logged into your Google Account, you will see the message "Apply for membership" (see Figure 2)-- skip Step 3 and go to Step 4. 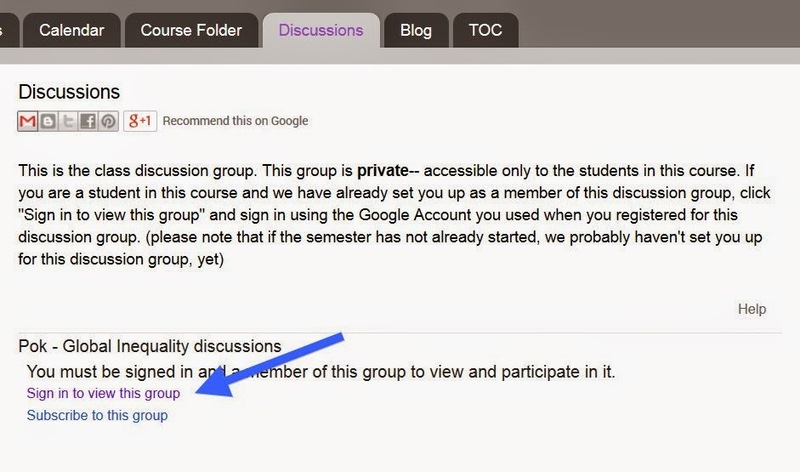 Step 3: If you are not logged in, sign in to the Google Account you would like to use for this course. After logging in, you should see Figure 2. Step 5: At the pop-up, make sure you #1) edit your name-- please use a name that is easily recognizable to me and #2) answer the question, and #3) click "Apply to join this group"